Bill Ricks writes: Another part of J. W. Daniels’s ventures. He came from a poor, working family. He walked several miles to Soperton to work. He always has liked people and enjoyed providing good service at long hours. He has operated a skating rink, picture show, and a grocery store at the building now occupied by Soperton Farm Center. There’s a photo on my blog in 2006 when he began building at the pictured location. He is a true example of American entrepreneurship. 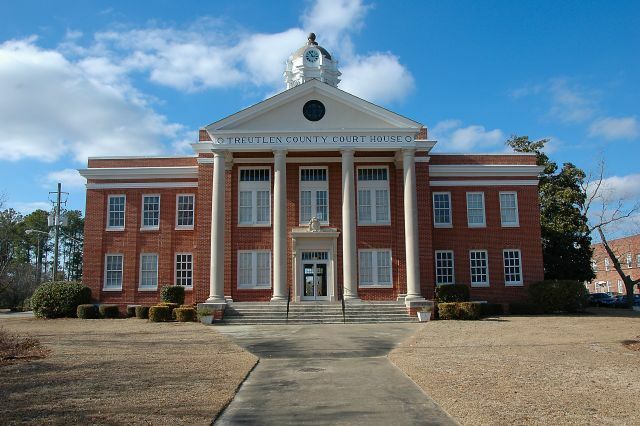 This courthouse was designed by J. J. Baldwin, who also designed the Candler and Evans County courthouses of the same era. Bill Ricks writes: Until about two years ago the top of the sign was covered by a Firestone sign. The J. G. Webbs opened their business in the late 40s after Mr. Webb’s military service ended. He was experience in radio and electronics, and both of them were frugal and hardworking retailers. They lived in the building up until about late 50s or early 60s, and the business was open until Mr. Webb died. 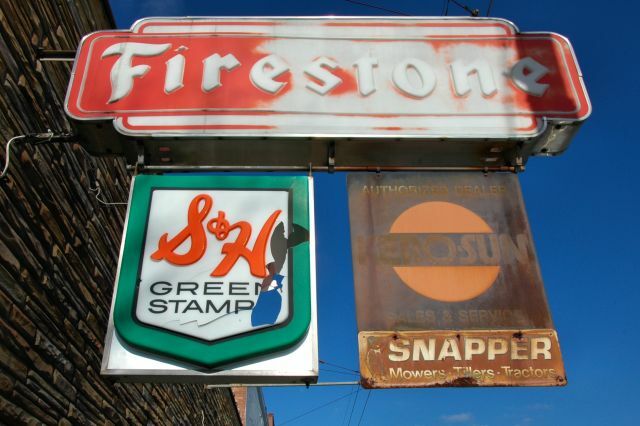 Beside Firestone tires, they had the local franchises for Snapper, Zenith, GE, and others. Mrs. Webb was related to the O’Connors. The original horse and mule business was operated by John Fisher and Mr. Lowrey. J. 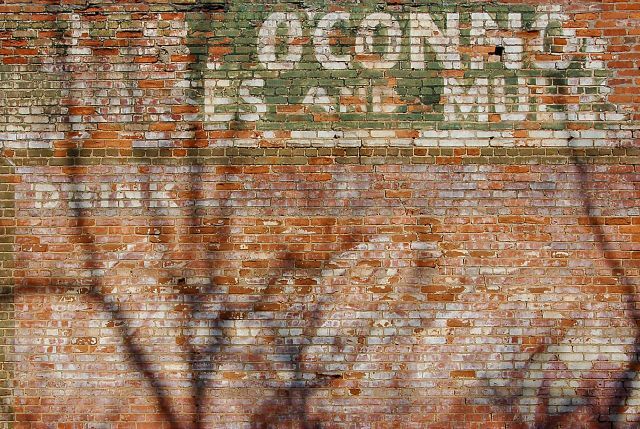 B. O’Connor was a business and political leader in Treutlen and Montgomery counties. 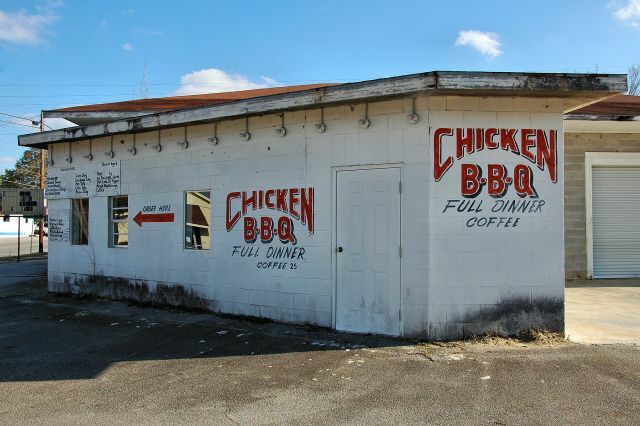 These are just a few of Bill Ricks’s images of life in and around Soperton, Georgia, over the past few decades. Mr. Ricks was an army veteran and a photographer who documented just about everything of note in his home county. And in the tradition of small town photographers, he enjoyed sharing his work. Many of his images were displayed in the windows of the old Moring’s Cash Store, but I’m told they are gone now. Luckily, the images are archived online. I believe Mr. Ricks passed away in 2011; I regret that I never got to meet him. I hope his images are kept in good shape for future generations. Perhaps his family will do a book of them at some time. Bill Ricks writes: Previous owner, M. E. Powell of Soperton, told me that the car was used in the movie Murder in Coweta County starring Johnny Cash and Andy Griffith, and he bought it several years later from someone in Savannah. Powell had frequent contacts with Cash from the first time they met in the early 70s until Cash’s death. 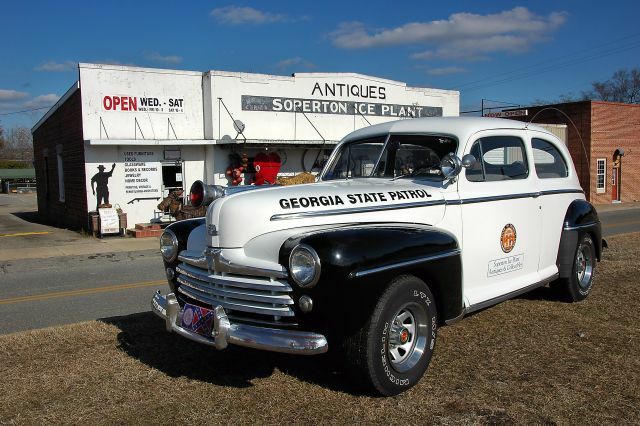 Mr. Powell said he gave the car to Tony Bush, owner of the Soperton Ice Plant Antiques store. As of 2016, the car is no longer parked in front of the antique store. I assume it was sold. 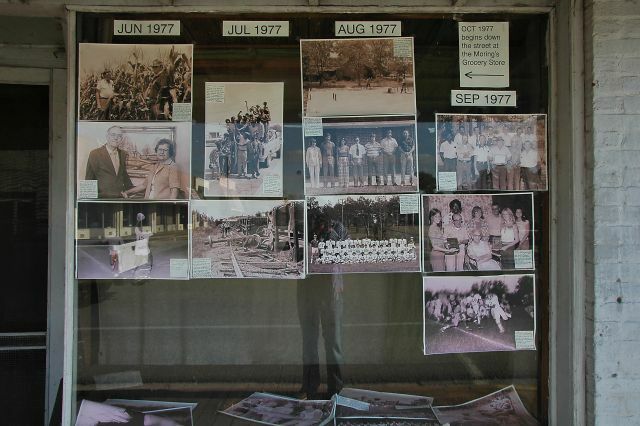 Bill Ricks notes that these are located at the former J. G. Webb Firestone Home & Auto Store.